Many people unfortunately get into trouble for one reason or another and end up on the wrong side of the law in a jail cell. Sometimes these people are guilty, sometimes they are innocent, never the less, our legal system allows said individuals to post bail and get out of jail until their trial. But just how do bail bonds really work? A lot people are in full panic when they get that dreaded phone call from a loved one or friend that informs them they have been arrested and need them to post bail so that they may return to work and their normal lives. They have no idea what to do or where to turn. Defendants who are not released on their own recognizance will usually pay some amount in bail. Bail is simply an amount of money that is deposited with the court to ensure that you show up for all court proceedings. 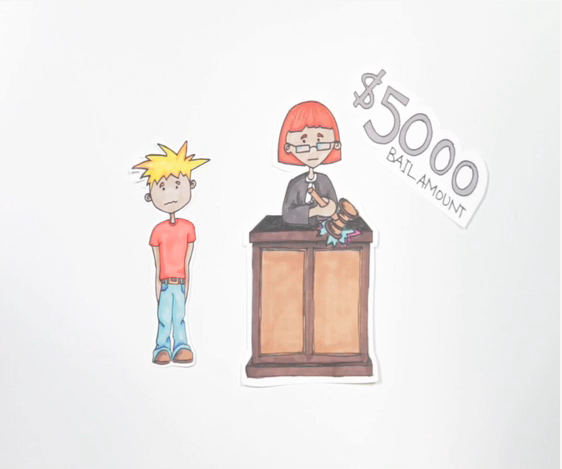 You can post your bail in cash with the court, and you will then be released from custody. However, if you fail to show up in court, you forfeit the money to the court. Sometimes due to the severity of the crime and the court’s uncertainty about whether a defendant will show up for trial, a large bail will be set. The bail agent will usually meet you at the jail to post the bond, though in some cases they may be willing to come to your home. If you are not in the same city as the defendant all paperwork and payments can be handled electronically or over the phone. If you have a friend or loved one that has been arrested and in jail in Cobb County, Fulton or other various counties located in Georgia please visit our website to get in touch with us and get them released as fast as possible!